Cultivate your online presence and look neighborhood-deep for your marketing and content. Be willing to respond promptly and to assist first-time buyers with lots of questions. The infamous cover in question. 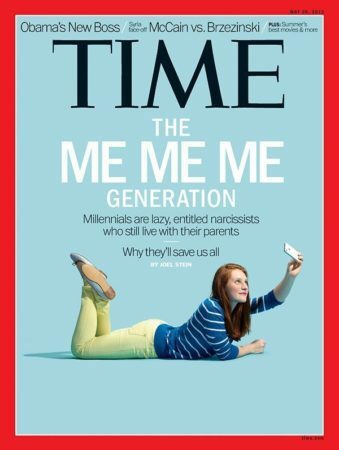 Much has been said about the millennial generation, from the controversial Time magazine cover to wide-ranging research conducted by Pew Research Center and Goldman Sachs. You may know that millennials are internet natives, but did you know that they now outnumber those in the baby boomer generation? In other words, overlooking this younger demographic means you’re missing out on a hefty portion of potential clients. So the question is this: How can you, as a real estate businessperson, connect with millennials and gear your business toward the future? Research shows that a whopping 82 percent of adults ages 18 to 29 use Facebook — not to mention the sizable portions of millennials who utilize Instagram, Twitter and Snapchat, too. More than any other generation, millennials use the internet and social media to connect with businesses. By curating your social media presence, you create the perfect portal for a millennial to click into, engaging directly and cost-effectively with a potential client. Don’t forget: Websites like Zillow, Redfin, Trulia and others are also popular platforms where millennials source potential homes and agents. Most millennials are in search of more than their dream house; they want to be part of a vibrant community where local businesses, great food, entertainment venues and public transportation are just outside their door. When pursuing millennial leads or serving millennial clients, emphasize local hotspots and come prepared with specifics on a neighborhood’s most compelling attributes — supreme walkability or a top-reviewed coffee shop around the corner. Millennials are a generation hungry for information, and they’ll value you not only as an agent, but as a resource as well. Because most millennials are new to the market, be prepared to educate them throughout the house-hunting process. Employing clarity and patience with your millennials leads or clients could pay-off in a sale, positive online reviews, and even referrals, as millennials are passionate brand devotees. Yes, millennials are patently known as a generation that values instant gratification. While such a claim is likely not so black-and-white, it doesn’t hurt to follow up with millennial leads and clients in a timely manner (a tenet true for all client interactions). Millennials work quickly and can source information and agents with a few strikes of the keyboard, so to stay in the game, and be sure to respond thoughtfully, personally and without undue delay. Finding success in real estate means trying new things and pushing your business to evolve. Practicing the points above may give you the edge you need to tap into the coveted millennial demographic, setting you and your business up for sustained success in the long term.